Of uncertain origin, possibly Ethiopia or neighbouring countries, or in western Asia. ]. It can also be grown outdoors as full grown plants and can provide fresh leaves for the salad bowl all year round from successional sowings. 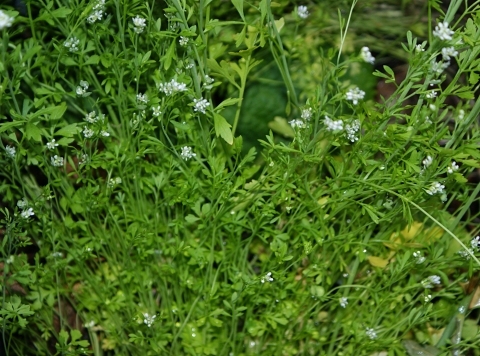 The antibacterial action of Lepidium sativum has been demonstrated in several tests. The extract of the fresh leaves showed strong antibacterial action against Bacillus subtilis and Micrococcus pyogenes, but was less effective against Escherichia coli. The antibacterial action depends largely on the age of the plants used. Seed - if you want a succession of young leaves then it is possible to sow the seed in situ every 3 weeks in succession. Germination is very rapid, usually taking place in less than a week.